Calling all wild and sacred women who wish to deepen their connection with the living wisdom of the lunar rhythms that guide our lives! This Spring, we welcome in the Aphrodite Living Goddess Immersion as we blossom open with self-love, beauty, sensuality, sacred sexuality and the powers of womanifestation. With the growing of the sun's light, we take steps to activate our visions and dreams to life and journey in rhythm with the Moon, as she mirrors our own waxing and waning. Sisters Of The Moon is our quarterly Moon Lodge Circle and Living Guide to embodying the current energies, wisdom and natural rhythms of nature, offered 4 times per year, aligned with the seasons and the sacred turning points on The Wheel of The Year. This informative, experiential and interactive journey is designed to weave into your life with ease and grace, creating a grounding rhythm of reflection, activation, magic and community sharing. This is an invitation to enliven your relationship with living lunar/solar/seasonal wisdom in sacred space and in connection with women from around the globe. We gather to deepen and nourish our personal growth, receive guidance from nature’s living wisdom, embody the power of the goddesses and cultivate meaningful relations with each other as sisters of the moon. We are building community to last a lifetime. Come as yourself. Be yourself. You are honoured and welcomed. In sisterhood council, we show up ready to authentically witness and be witnessed, listen and be heard. Through our personal stories, Global Sisterhood Creed and the equanimity of circle, we cultivate deep trust to actively participate in the navigation and unfolding of our lives with passion and purpose. We weave our gifts for co-creating sustainable, balanced and peaceful ways of living to honour earth, each other and all sentient beings. Throughout the great annals of time, The Goddess was integral and fundamental to people and their cultures. She has been worshiped by countless names and forms and in infinite ways. We gather in this time of significant planetary shift to resurrect Goddess Wisdom by embodying Her spectrum of archetypal wisdom in our own lives. Emotionally, physically, spiritually, mentally, sexually, psychically. Through ritual celebration, intuitive practices and creative expression we are invited to awaken and deepen our divine consciousness, feminine truth, strength and empowerment. In our Moon Temples this spring, we are connecting during and with the magic of all the moon phase; the Waxing/ Waning Moons, Full Moon of Lunar Beltane and optional New Moon Ceremonies (open to the greater Goddess Rising Sisterhood) to align with celestial influences and reveal relevant astrology to assist us in each lunar cycle. We celebrate the sacred rhythm of birth, life, death and rebirth in nature, reflected as the living womb wisdom and emotional intelligence within us. We join with the greater Goddess Rising Sisterhood in the dark of the moon to consciously release the old and plant our dream seeds for the new cycle. Together we create healing and transformation in our personal lives, for our loved ones, and for all of creation. This is optional and is our on going Dream Seed New Moon Circle that is open to all women. For 5 days, during the time of Lunar Beltane, we take a deep dive immersing ourselves into the archetypal energy of the Goddess Aphrodite and embody her gifts and wisdom in our own lives. We gather in the moon's more subtle transitional phases of the Waxing Half Moon & Waning Half Moon and complete on a Full Moon as we presence gratitude, bring to light the shadows and rejoice in the fruition of empowerment. We participate in embodiment practices & moon rituals informed by the current cosmic weather and share wisdom, truth and insight together. The Living Goddess Immersion for Lunar Beltane is dedicated to Aphrodite. For 5 days, we offer ourselves to receive her wisdom and engage in her legend & myth, delving into the powerful Venusian waters to access our sensual pleasure, self-love, wholistic beauty and magnetic grace. 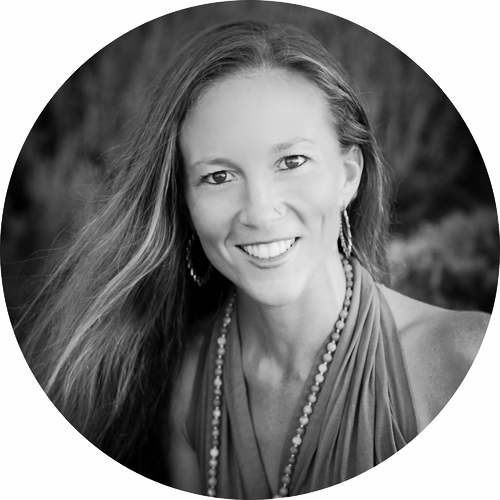 We bring her teachings to life through embodiment practices, Kundalini Yoga & Meditation and expressive healing/ritual movement arts. During the Immersion, we connect with 3 live tele-retreats, delivery of practices & inspiration through written/audio/video tutorials in the Moon Sister Portal and additional communication through our private Facebook Group. *Please commit as best you can to attending all Moon Temples LIVE, so that we can create a powerful participatory council of wisdom and heart. However, ALL CALLS will be recorded if you can't make it LIVE and made available within 4 hours after. Here, in our secret online Moon Sister Portal, you will find all the Moon Temple & Aphrodite Recordings, PDF's, Video Tutorials, Soul-Full Home Play Practices, Sister Luminary Presentations and more. All organized in one place and easy for you to navigate. We gather in the Moon Temple for our live call for 90-120 minutes via phone or webcast. This is where the magic happens. We dive into embodiment practices, moon medicine, mystical content, personal sharing and Q & A to create powerful participatory council of wisdom and heart. Connect with your fellow moon sisters in our private Facebook Group for ongoing insight, sister heart sharing and reflection. Express yourself with poetry, imagery, songs & related inspiration throughout the journey. Your creativity, interaction and voice contribute to the collective magic. To receive full access to 'Sisters Of The Moon', MAKE SURE to keep the mailing list button checked on the following Registration page. You MUST also confirm your e-mail subscription that will be sent to you shortly after you receive an initial tuition/order confirmation.